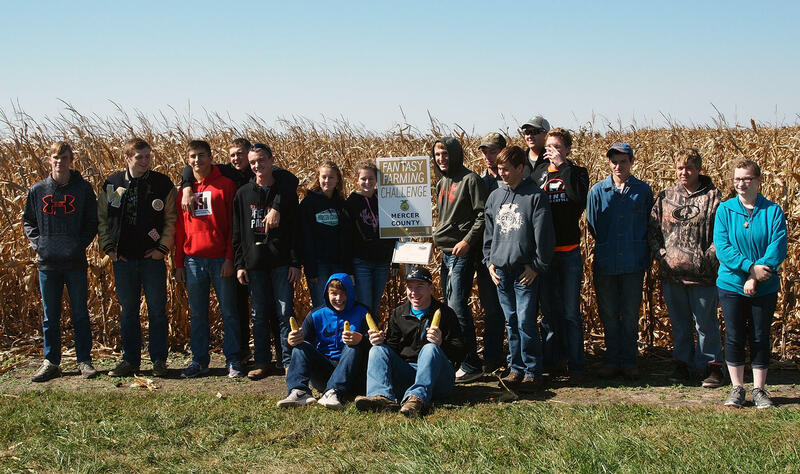 An agriculture class from Mercer County High School poses for a photo in front of their plot at a Monsanto research facility. “Fantasy farming” is essentially a game played out on a real field, at a real agriculture research facility. It gives high school students a chance to learn firsthand about the guesswork and gambles that farmers make every year. Monsanto, the seed and chemical giant, sponsors an annual competition among high school classes. The company devotes 17 plots of land to students and farms it for them based on their orders. Choose a hybrid corn seed, plan how much nitrogen to use, determine whether not to apply a fungicide. The goal is to grow the most corn on your school’s plot. Conziahr said this is the fourth year Monsanto has hosted fantasy farming in Illinois. The agrochemical and agricultural biotechnology company gives $1,000 to the school that produces the highest yield and $1,000 to the school that generates the greatest profit from its plot. Similar competitions are held at the company’s learning centers in Iowa and Nebraska. 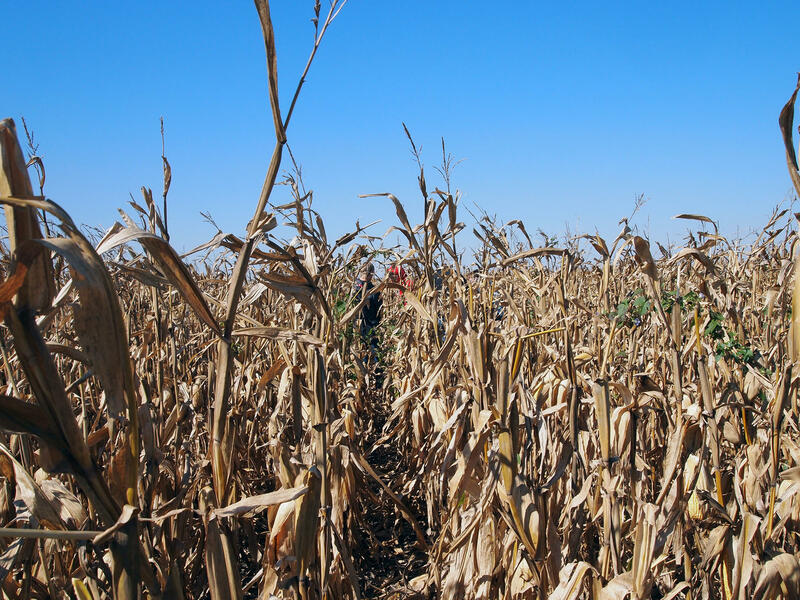 A few students, seen in the center of the photo, were sent into the center of Mercer County High School’s plot to pick what they considered an average size ear of corn from the field. Seventeen high schools competed this year in Illinois, represented by 16 agriculture programs and one science class. Each school is given a corn plot of 100 feet by 20 feet and are all located in the same section of the learning center. Monsanto’s Coziahr visited the schools early in the calendar year to give the students some agronomic background and to receive instructions on how each school wanted Monsanto to manage their plot. “I’m a former high school ag teacher and I thought this was a neat opportunity to get some agronomy and crop industry education into some high school ag programs,” Coziahr says. The schools are then required to take a field trip to the learning center in the fall to see their plot. 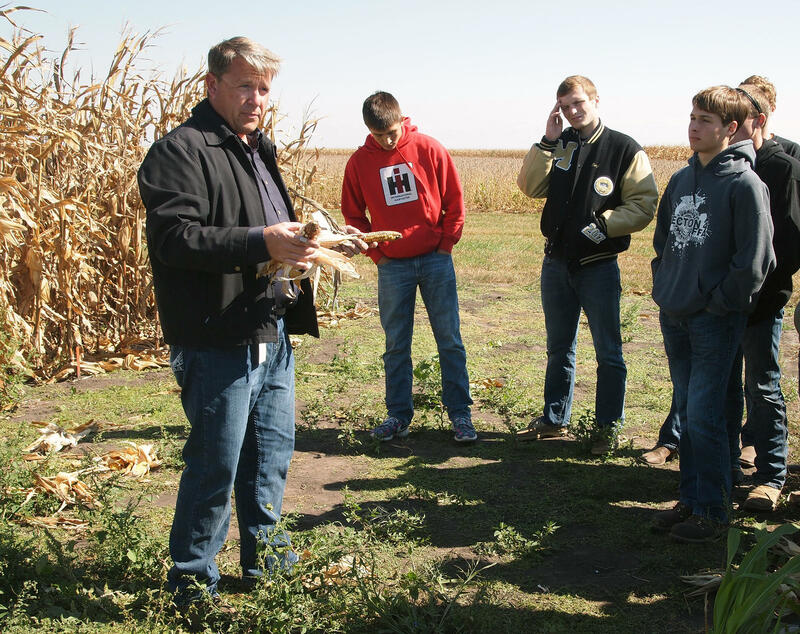 Coziahr’s teacher skills were on display on a cloudless day as he talked to ag students from Mercer County High School. The field corn rustled in the wind as Coziahr engaged students in front of their plot. He told them this was the third consecutive year corn was raised on this plot. The students were also given a quick tour of the sprawling learning center, which has research plots and an outdoor exhibit on the history of corn. Afterward, high school senior Nicholas Close said he enjoyed the on-the-ground experiment. “It’s been interesting to learn more about the traits. That could definitely affect the practices I’ll do in my future,” says Close, who hopes to one day manage the family farm. Monsanto’s Troy Coziahr talks to high school students participating in a ‘fantasy farming’ competition. The Mercer County High School plot – and others – suffered a setback during a June storm that included heavy rains, high winds and hail. But Close said the plants generally bounced back. While fantasy farming is designed to teach students, Troy Coziahr said he too has learned lessons from the first four years of the competition. “The most expensive plot is never the highest yielding,” he says. “And on the other side of the coin, the cheapest plot where they’ve tried to cut the most corners is never the most profitable. And in every year except one, the highest yielding plot has not been the most profitable plot. Missouri's biggest peach producer is suing Monsanto Co. over illegal herbicide users suspected of causing widespread crop damage in Missouri and neighboring states. The St. Louis Post-Dispatch says last month's lawsuit in southeast Missouri's Dunklin County by the operator of Bader Farms near Campbell seeks what Bader's attorney suspects will be millions of dollars in compensation for damage to the farm's peach trees over the past two years. 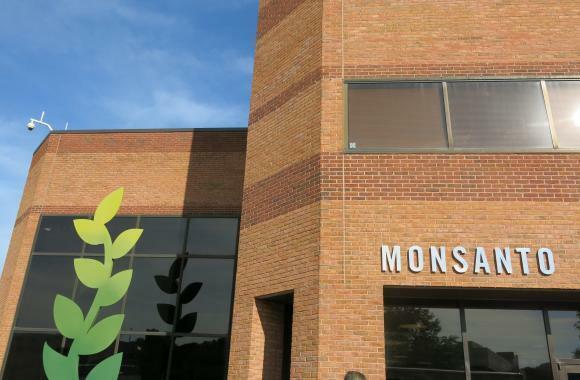 Shareholders of agricultural seed and chemical giant Monsanto agreed to a merger Tuesday, moving the controversial deal one-step closer to fruition. German drug and chemical maker Bayer plans to pay shareholders $66 billion to take over Missouri-based Monsanto. That breaks down to $128 per share if the merger closes. Fantasy sports could continue in Missouri without facing gambling regulations under a bill advancing in the state Legislature.